We're at the tail end of our foodie fantasy vacation. If you like to eat Asian street food, save your pennies and get yourself to Singapore and Malaysia! We're keeping a blog, mostly for our family and friends but figured nobody would like it as much as an lther. It's a few days behind as of now, we've still got to add KL, which we'll probably do mostly on the plane ride home. So if you check today, make sure to check back at the end of the week for the complete version. Hope this helps anyone who plans to travel to this region in the future - it seemed that there wasn't much on lth about Malaysia. The blog is complete - we have finished reporting on the trip! If in the future anyone wants any more info on where some of the stalls were or what they looked like, we have more photos to help with identification. Just let me know. Anyone here been to Singapore since this post? I'm going in February and the amount of excellent food options is daunting. Tips appreciated. I was there for four days last October, but didn't post here (check my twitter account from October 15-19 for pics). 1) Be prepared for intense heat and humidity. Fortunately, air conditioning works well everywhere and there are massive shopping malls everywhere. Step into the mall and you'll immediately notice a 50 degree temperature drop (or so it will feel). 2) The subway (MRT) is fantastic and easy to use. Buy the multi-day travel pass for discounted travel. 3) Immigration is also very quick. 4) If you go to Raffles Long Bar for the Singapore Sling, I'd suggest just looking at the hotel. The drink is about $25, incredibly sweet and was the biggest ripoff of the trip. As far as eats go, I've never eaten better anywhere. For breakfast, kaya toast of course. You'll also find wonderful pastries everywhere (particularly if you love coconut and pandan as much as I do). I had a few more upscale dinners. The one I'd absolutely recommend is Odette, which I believe is a Michelin 2* restaurant. Michelin got this one right - a gorgeous room, wonderful service, outstanding food. I also went to an upscale restaurant, Labyrinth, which featured creative takes on Peranakan food, but mostly we felt let down by the food. I wish I had selected someplace else for Peranakan food in retrospect, perhaps something a bit more traditional. And of course, we visited Jumbo Seafood (at Clark Quay - they have multiple locations) one night for chili crab. I enjoyed it quite a bit but I think I'm probably more of a pepper crab guy (but I'll find out for sure on my next visit). We also had some excellent sushi . . . but sorry, I don't have info on where it was and I left my camera behind as it was during a storm. If I remember, I'll follow up. Lunch every day was at a different hawker market. Bring packs of tissues or buy them there. Use a pack to save your seat. And note, the tissues also serve as your napkins. There are a lot of online guides to the best hawker markets, and then the best stalls at those markets. It helps to have done some research in advance because the heat will at least somewhat limit how much you can eat and there is so much fantastic food to be had at each market. Look up the hawker market you plan to visit and search for recommended stalls. There are a lot of great blogs with pictures (e.g., thesmartlocal.com, danielfooddiary.com, ieatishootipost.sg, ladyironchef.com, to mention a few). But also walk around and see what looks good, where the lines are, etc. Don't be surprised though to find a particular hawker stall closed for a day or week or so while the owner is on vacation. We encountered that at every market. Tekka Centre in Little India - I've yet to visit India, but Little India in Singapore is what I expect to find when I do - the crowds, the heat, the colors, and the intoxicating aromas. My friend and I shared a few items at the Tekka Centre and all were great: excellent samosas, wonderful cheese prata with curry dipping sauce, butter chicken the likes of which I've never tried (served with fantastic naan), and practically life changing lamb byriani. If I could only have one again, the byriani, without question (but I wouldn't have just one of course). Again, pics on twitter. And while in Little India, don't miss the Sri Veeramakaliamman Hindu Temple. There are a couple of Hawker centers in Chinatown and I visited both. One is Maxwell Road Hawker Centre. This is the location of the famous Tian Tian Hainanese Chicken Rice. Well, damn if they didn't short me on skin. But my friend is not a big fan of the skin so I got lucky. I think this is where I also had a fantastic curry puff with sardines. I also visited Chinatown Food Street where I enjoyed fantastic chicken & lamb satay, bao (including a fantastic chili crab bao) and bbq stingray (sorry, no pics . . . but a must try). I think this (or Maxwell or nearby) is where I visited Terry Katong Laksa which was fantastic and ridiculously cheap. 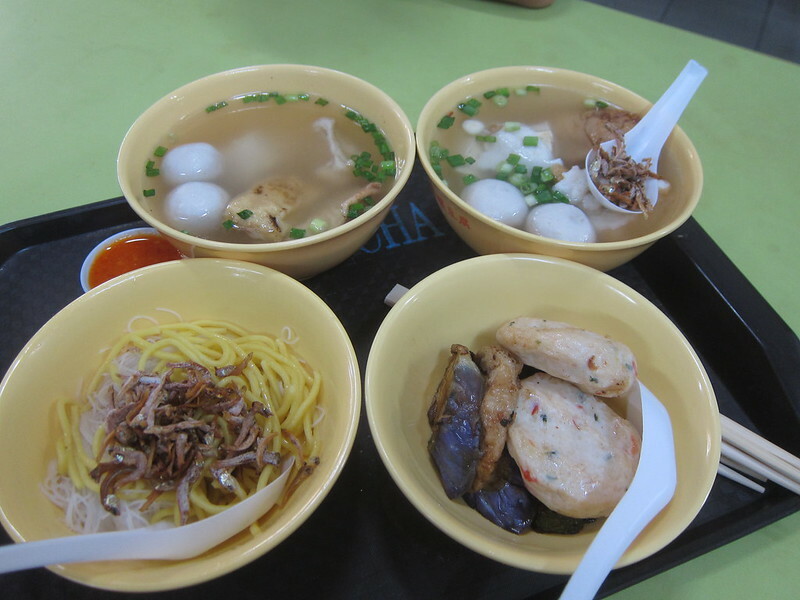 At Hong Lim Market and Food Centre, we visited the famous Outram Park Fried Kway Teow Mee. This was the longest line I experienced at any hawker stall (about 20-30 minutes). I don't think I waited more than 5 minutes anywhere else. I ate more at each market but I guess I didn't take photos of everything. Almost everyone recommends the Old Airport Road Food Centre but we just never made it there. We tried to figure out where we would be for tourist activities and what hawker stalls were relatively close (occasionally going a bit out of the way). Also, don't forget to visit Arab Street - more incredible sights and smells, and try the prata. You'll see it being made everywhere. As for things to do, absolutes include Gardens by the Bay (and the Cloud Forest and Supertree Grove there), Orchard Street (make sure to go into a mall or a few), Marina Bay (and the Merlion statue), the Singapore Zoo (I'd almost never recommend a zoo but this one was special). And instead of the Singapore Flyer, head up to the 57th floor of the Marina Bay Sands Hotel, have a cocktail or two, and take in the stunning scenery. MarlaCollins'Husband wrote: Anyone here been to Singapore since this post? BR wrote: I was there for four days last October, but didn't post here (check my twitter account from October 15-19 for pics). This is really helpful. Thanks. For those interested, referenced Twitter link is here. I've got a daunting amount of research ahead of me. I must have had my dates slightly off, so this search should provide some more help. My twitter feed also reminded me that the sushi place was Sushi Jin. And scrolling through other photos reminded me that I also visited the Newton Food Center hawker stalls. Don't allow yourself to get overwhelmed with research. My suggestion would be to pick food centers you absolutely want to try and compare to food centers near attractions you intend to visit or near an MRT station. Google maps will help. But also note that it's really impossible to not have a great meal and find great food at any of these centers, so I would suggest that with limited time in Singapore, you don't go far out of your way to try one particular stall. In other words, don't go far out of your way to some food center merely to try some amazing laksa when you're almost certain to find amazing laksa at one ore more of the other centers that may be more convenient to where you want to be. But once you decide on the food centers you plan to visit, you can search for the best stalls at that center. 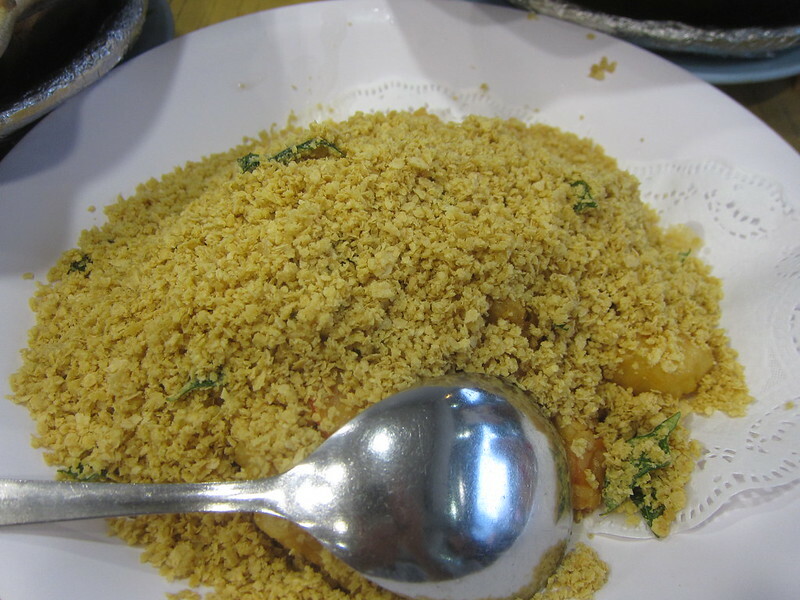 There are countless blogs with recommendations for what to eat at particular food centers. Some centers have 100 or even 200 stalls so in that sense you do want to have a bit of a plan, especially given that you will probably run into some crowds. That being said, you may notice a line or two at some of the food centers and that may give you a clue as to what's most popular. To me, the only food center you wouldn't want to miss is Tekka Center since it's the only Indian food one and right in the heart of Little India. 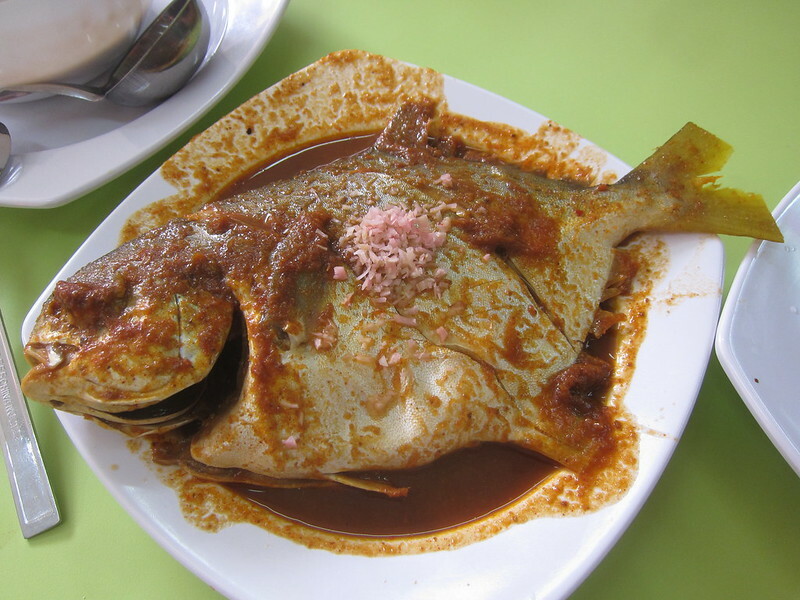 Indian style fish head curry. Ask around the locals for the best (it's like asking for the best pizza here) - but it's outstanding. stoutisgoodfood wrote: Indian style fish head curry. Ask around the locals for the best (it's like asking for the best pizza here) - but it's outstanding. Finally went on my trip to Singapore and had an amazing 5 days of eating. 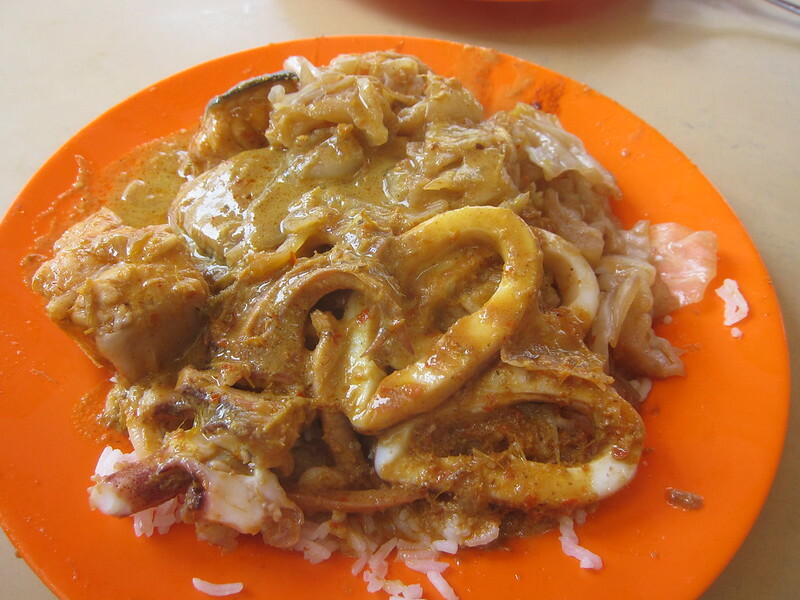 There is far more delicious food to eat in Singapore than can possibly be covered on one trip of any length. And given the number of great blogs out there, it might be the place about which there is more great information than any other. Singapore has loads of high end restaurants that I'm sure are spectacular, but I focused almost exclusively on hawker stalls. For those planning a trip, I have some tips. One, like BR said above, it would be foolish to try to plan every meal ahead of time. Not only will you miss places that are clearly popular (let the lines guide you), but given that hawker stalls are tiny mom/pop operations, you need to have some flexibility due to lines/random closings. Second, if there are a few places you absolutely positively don't want to miss, go early in the day. Some of the lines get ridiculously long and some of the popular places do sell out. Third, because most of the hawker centers do not have maps, make sure you take note of stall numbers of your must-visit places before you go. All that said, here are the highlights. 1) Charlie's Peranakan in Golden Mile, B1-30, Golden Mile Hawker Centre. I had two dishes here only because I was really full by the time I got there. It was so good that when I ate it on my second day, I correctly said it would be the best food I had all trip. Nifty backstory - Charlie has cooked in Singapore for decades but retired about 10 years ago. In 2014 or so, he had a stroke. That inspired him to go back to work. 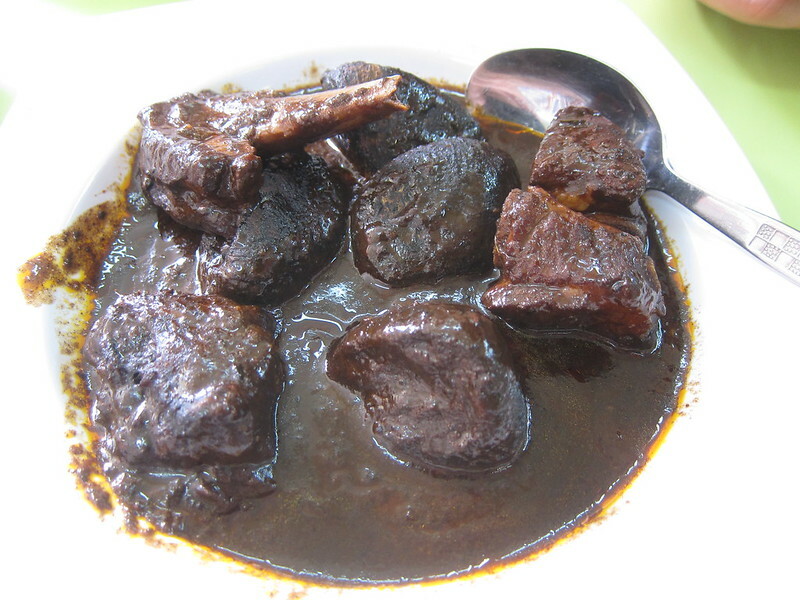 The Babi Tulang Buak Keluak was just a magnificent dish. The sauce was like nothing I've ever had. It was sweet, fruity, spicy, rich, and porky thanks to the butter-tender ribs that cooked in it for hours. Sorry I can't describe it better. There was definitely tamarind and chili peppers involved and probably some ginger and lemongrass. Likely some turmeric because there usually is in Peranakan food. 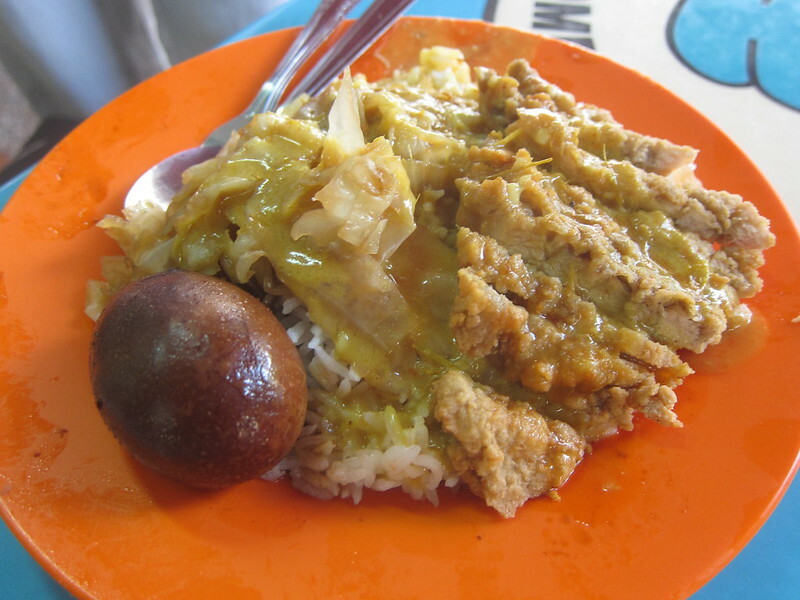 The third component of the dish were the tree nuts, buah keluak. The nuts and the whole dish are worth a google. Basically, the nuts are poisonous when fresh thanks to the cyanide they contain. To make it so they won't kill you, before they're used in a dish, someone boils them, buries them in ash, and cleans them. 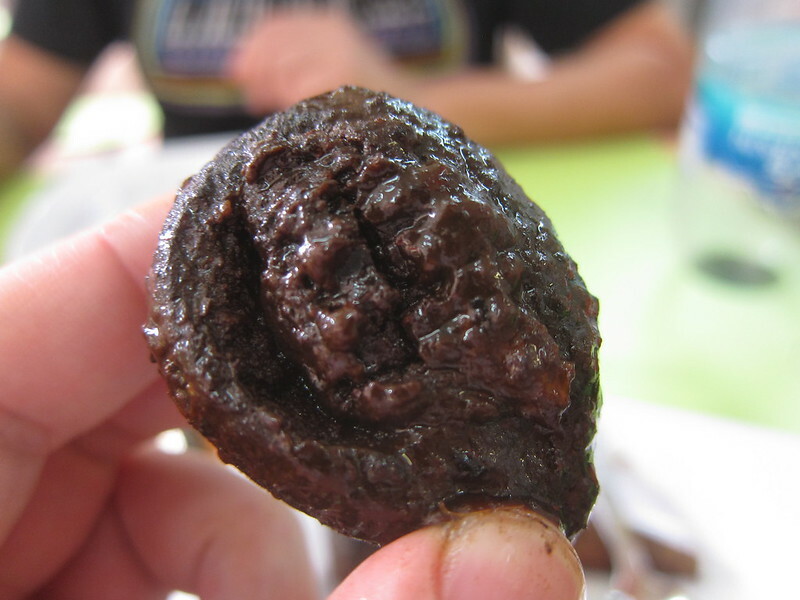 The meat of the nut is then ground up and mixed with spices and stuffed back into the nut shell. I found a good write-up of the dish (not Charlie's version) here. While nothing was going to compare to the Babi Tulang Buak Keluak, the Gulai (Assam) fish was also outstanding. The fish, almost certainly a type of pomfret (probably golden), was excellent. Pomfret is a delicate and not-too-fishy fish that takes on sauces really well. And man was this a fantastic sauce. Again, no idea of all the flavors but it was fruity (asam means tamarind) and spicy and so easy to eat despite the fact that I was well past full. I'm not sure I'll ever get back to Singapore, but if I do and Charlie is still cooking, he'll be my first stop. 2) The whole menu at at Xiu Ji Ikan Bilis Yong Tau Fu, Chinatown Complex Market & Food Centre,#02-87/88. People familiar with yong tau fu are likely used to it being stuffed tofu. I say that like I know what I'm talking about but I just read it on Wikipedia. At Xiu Ji Ikan Bilis Yong Tau Fu, the various items that would traditionally be stuffed inside are available on the side. I didn't know that but after waiting 45 minutes in the longest line in the biggest hawker center in Singapore, I was absolutely going to order everything on the menu. Since that meant one serving inside the soup and one serving with the noodles on the side, I ended up two orders of the two best versions of tofu I've ever had in my life along with great fishballs, magnificent fishcakes, wonderful bitter melon and eggplant, and two kinds of perfectly cooked noodles. I spent the entire time in line in 90 weather and 80% humidity in an area with poor air circulation shocked that I was waiting that long for tofu. I've spent the last 3 weeks wondering why the line was so short. The previous two places were far and away the best meals I had in Singapore. I can't emphasize that enough. They are my absolute must do whatever it takes to get to stops if you find yourself over there. But there was plenty of other stellar food to be had. 3) Loo's Hainanese Curry Rice, 71 Seng Poh Rd #01-49, is set up like a hawker stall but it's not in a hawker center; just an open-air corner with 3 places facing the street (the no-name vegetarian place to the right is also really great). Not much to say about this other than the curry was just stellar. We opted for bbq stingray, a Singaporean specialty, and squid. We also got the excellent braised cabbage that everyone in front of us in the long line seemed to be adding to their orders. Loo's was actually really close to our place so when one friend was slow getting going one morning, two of us headed back there for breakfast and got this excellent pork chop. 4) Laksa from Lik Ming Toa Payoh Laksa, Blk 93 Lorong 4 Toa Payoh #01-48. 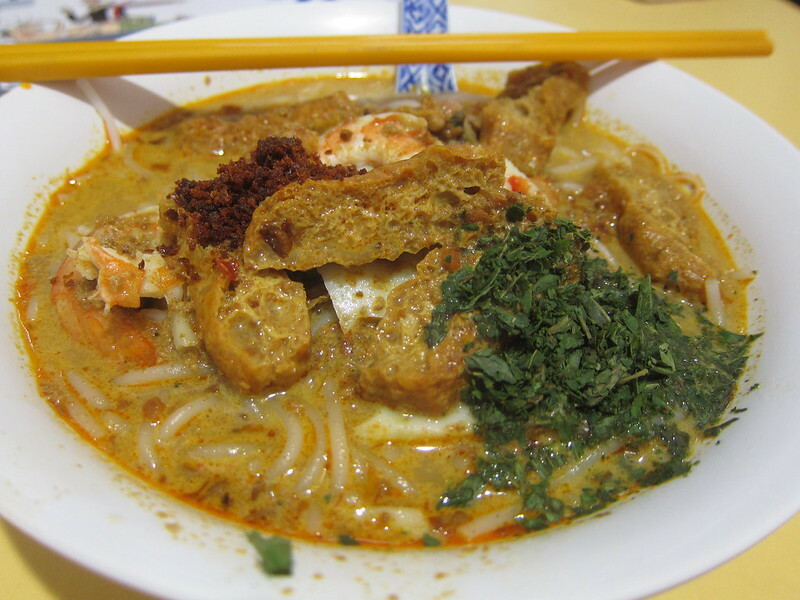 Laksa, a classic Peranakan dish, is a must have for any visitor to Singapore and it's something that's easy to find. I tried a bowl at Michelin Bib recipient 328 Katong Laksa on my last day of the trip. Had I had it on the first day, I suspect it would have blown me away. But by the time I made it there, I'd already had a much better bowl at Lik Ming Toa Payoh Laksa. The broth, a slurpable blend of spices, sweetness, and coconut milk, was giggle-inducing delicious. I'd love to spend a day in Singapore just going from one laksa stall to another. 5) Hong Kong Family Restaurant was one of the few sit-down restaurants I went to in Singapore. This place would never have come up in my research. I tracked down an old friend I hadn't talked to in over a decade who now lives in Singapore and she insisted that we eat there, that she order, and that she bring friends for more ordering power. She definitely didn't steer me wrong and we had a fantastic mostly Cantonese meal. 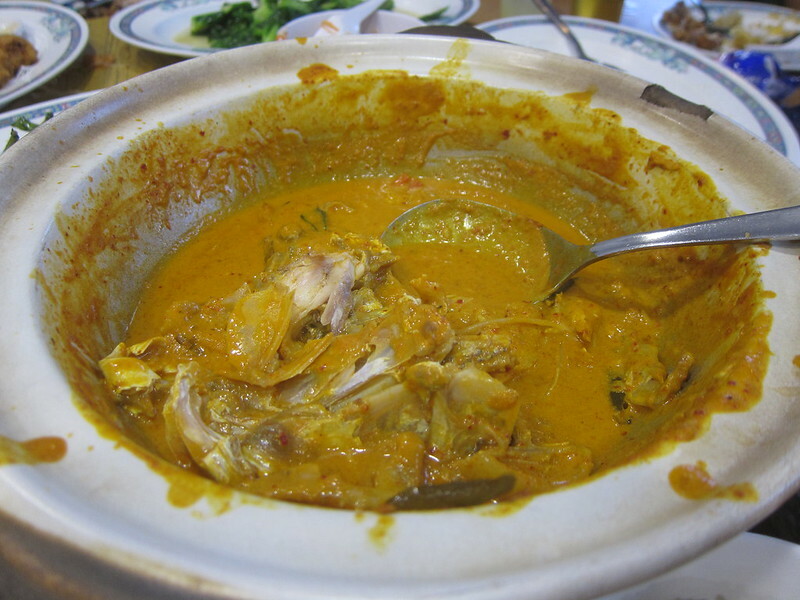 But the highlights were a couple of made-in-Singapore dishes: fish head curry and cereal prawn. You've all had curry. Just imagine a fantastic one where the protein is fish heads. Cereal prawns are prawns fried in a special made-for-prawn-frying cereal. It has a touch of sweetness but it's really delicious. The best bites of the night came from dipping those perfectly fried prawns into the curry. Reservations strongly advised. My friend tried to make a reservation and was told nothing was available. She had a friend who speaks Cantonese call and we were able to squeeze in very early. Dozens of people were waiting outside when we were done. 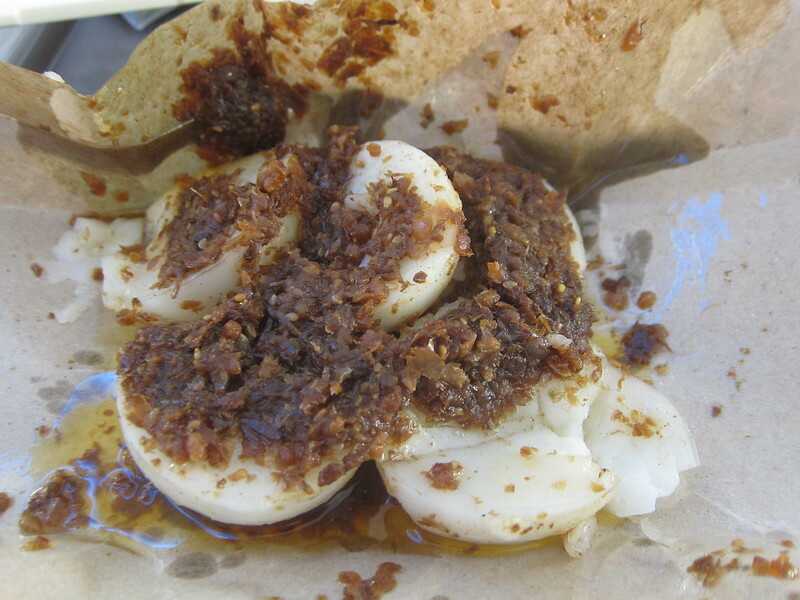 6) Chwee Kueh from Jian Bo Shui Kueh, Tiong Bahru Market #02-05. This one's a perfect example of what I mean by flexibility. I now know this is a legendary Michelin Bib recipient that's been around for over 60 years, has 16 locations, and is now run by the third generation of the same family. It is pure luck that a friend saw a long line when we were at the Tiong Bahru Market, which turns out to be the original location of Jian Bo Shui Kueh (non push cart category). The dish is simple: it's a rice cake topped with preserved radish and chili oil. Try to imagine how good that can possibly be. It's better. The rice cake is texturally perfect - it's soft enough to bite easily and easy to chew, but it's not mushy at all. 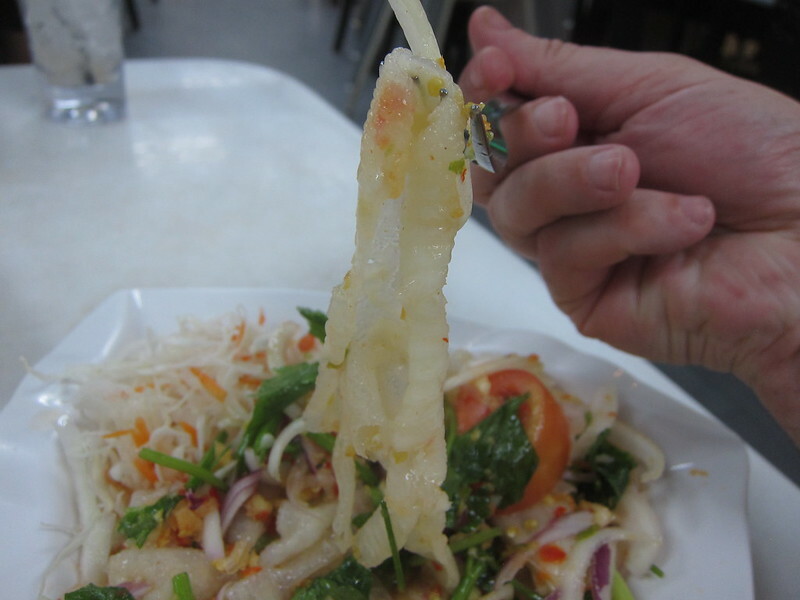 7) Chicken foot salad from Diandin Leluk, Golden Mile Complex #01-67/68/69. This one isn't in my top dishes, but finding it and eating it were both fun. I'd actually happily go back to the restaurant again to try other things and certainly wouldn't object if someone else wanted to add a chicken foot salad to the order. Golden Mile Complex should not to be confused with the nearby Golden Mile Hawker Centre where Charlie's is located. However, that confusion is how I ended up eating a chicken foot salad. In an uber the night before, our Thai driver was asking us about our plans and got excited when I mentioned Golden Mile. I was talking about the hawker center but he thought I was talking about the Complex, which is like a slice of Thailand in the middle of Singapore. Everything is Thai there - the restaurants, the snack shops, the tea shop, and the stores. It also serves as the pick-up and drop-off point for buses to and from Thailand. Anyhow, the uber driver excitedly told us we had to try this chicken foot salad Diandin Leluk. He said it was too spicy for him but that his family loves it and he often picks it up for them when work takes him nearby. Now, I still thought there was only one Golden Mile at that point so figuring out what the hell was going on was a bit frustrating. But my frustration is your gain and now you know how to go get a wonderfully spicy and acidic salad that features some chicken feet that will leave you wondering how cartilage can possibly get that tender. Washing it down with lemongrass juice doesn't help much with the heat but it made for an excellent pairing. This is a small fraction of what I ate in five days in Singapore. For anyone curious, you can see pictures of all the food (as well as a large number of plants and animals) over here on flickr. Wow....I lived there for 2 years in the mid 80's and this brings back so many awesome memories. When people ask me what I liked about my time there, it's 'the food, the food and, uh the food' before going on with other things I enjoyed. 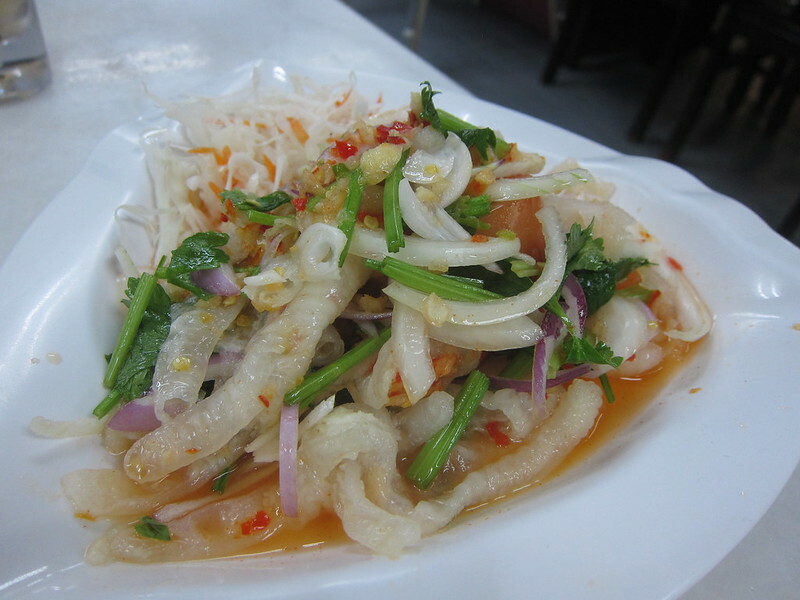 (Although I never got the hang of chicken feet salad!). Sorry you couldn't get any Malay durian, an experience for sure! Thanks for a great post and all those pictures! I ran almost every day in the Botanic Garden/Reservoir/East Coast Parkway areas. Lived overlooking the land reclamation project that became the Marina area (the dirt used to fill the sea was from the subway excavation). Another great experience is the Sunday morning coffee shops where people bring their songbirds in cages and sit outside sipping while listening to the bird conversations.